Evolutions Event – Brighten Up Your Skin! Join us at our March event on Wednesday, March 30th, 6:30 pm to 8:30 pm. Sunny Santa Barbara skies and long days at the beach are a perfect recipe for sun damage resulting in hyperpigmentation, fine lines, wrinkles and, at worst, skin cancer IF you are not protecting your skin from the strong rays of the sun. Evolutions Medical Spa Santa Barbara and cosmetic surgeon Dr. Terry Perkins consistently advocates sun protection as a crucial step to preventing environmental and sun damage, which can appear years, or decades, after accumulated sun exposure. With a long weekend rapidly approaching, we recommend covering yourself with an effective sunscreen. 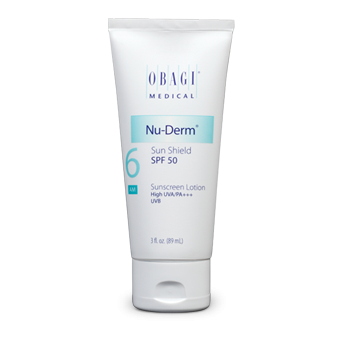 One of our favorites is Obagi’s Nu-Derm Sun Shield SPF 50. 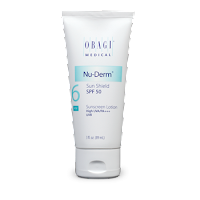 Obagi’s Sun Shield combines high UVB absorption and dynamic UVA blockage with 10.5% zinc oxide and 7.5% octinoxate that is non-whitening, PABA-free, fragrance-free and has an elegant, matte finish. – Apply sunscreen 30 minutes before going outside. – Reapply sunscreen every 2 hours, and after swimming and sweating. – When outside, cover up! Wide brimmed hat and UV-blocking sunglasses recommended. – Do not burn. As few as five sunburns doubles your risk for skin cancer. Obagi’s Nu-Derm Sun Shield, and other sun protection products, are available at Evolutions Medical Spa in Santa Barbara. Check out the Evolutions’ Facebook page for special offers on sun protectors! Evolutions Medical Spa Santa Barbara is hosting an educational event that will “appeel” to many! “Skin Appeel” is dedicated to chemical peels and your skin. Chemical peels address many skin concerns including wrinkles and acne, they help to exfoliate the skin, unclog pores and stimulate new collagen and elasatin production for a smoother texture and more radiant skin! At Evolutions, we do not believe in a “one-size-fits-all” approach to chemical peels. We offer a variety of peels, from light to deep, depending upon your skin concerns. Our highly trained medical aestheticians will help you choose the peel that best suits your skin and your needs. 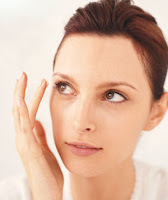 Chemical peels are popular because they yield visible results. Depending on the peel, you may be able to see a difference within 4 to 5 days! As seating is limited, please RSVP to Evolutions at 805.687.0212.